Do yourself a ‘flavour’ and tune in to the latest season of Chef Exchange, a new and brilliant cooking show coming out of South Australia. Now before you roll your eyes and tune out (just what we need, another cooking show!) bear with me… this is what we need, and when we need it. Chef Exchange, produced by Adelaide outfit 57 Films, is not your typical celebrity-chef vanity project. 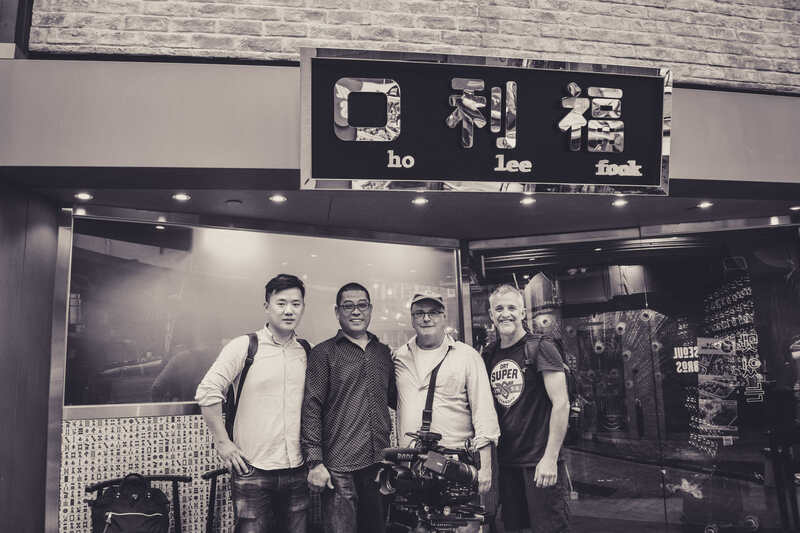 The series focuses on the journey of discovery undertaken by acclaimed chefs Jock Zonfrillo and Qu Jianmin from sister cities Adelaide, Australia and Qingdao, China respectively, as they explore each other’s food and wine cultures. It’s unique focus proving to be a tourism boom for South Australia and a true educational opportunity for our producers and operators. 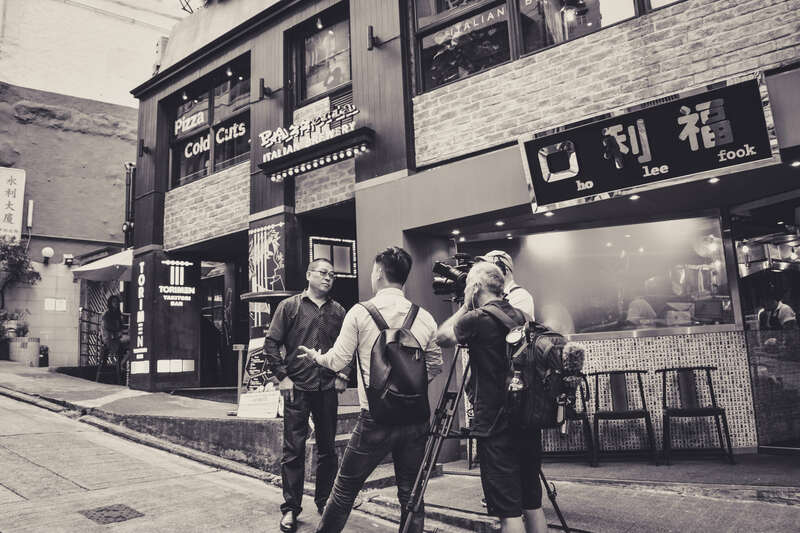 Partnered with China’s Qingdao TV (QTV) and aired globally, Chef Exchange is stepping into the Chinese market when demand for Australian produce is at an all time high. 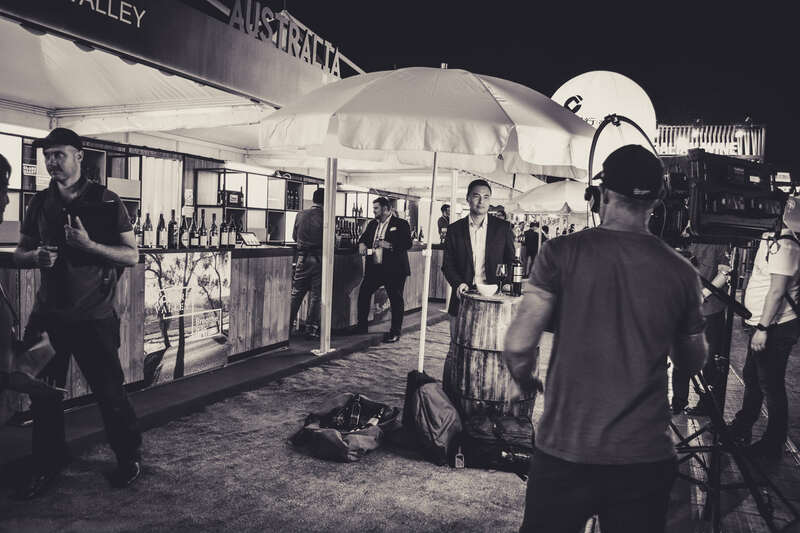 The overall premise of the show is to create emotional connections between the Chinese audience to South Australian food and wine. Chefs Qu and Zonfrillo seek to present the South Australian produce discovered on their journey, with traditional Chinese flavours. 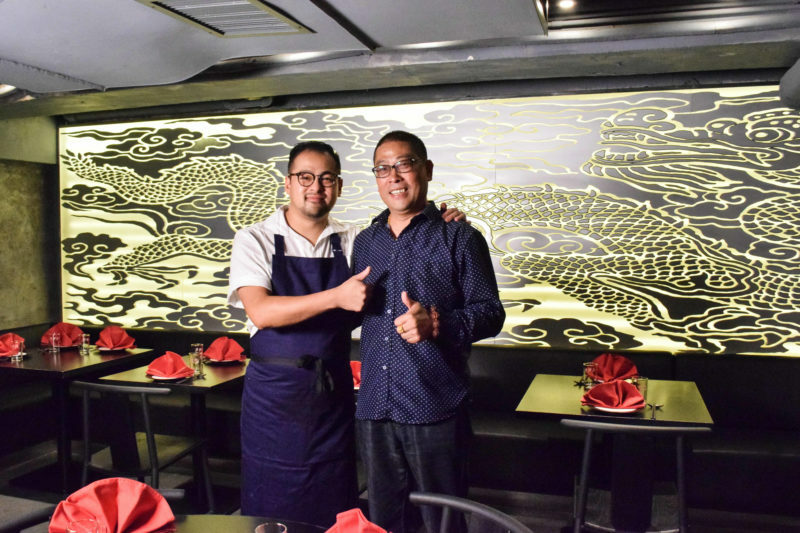 Their dishes are then matched to our local wines, highlighting their Chinese tasting profiles and creating a complete dine and wine experience with an Asian persuasion. This approach is somewhat unique, making both our produce and food and wine lifestyle not only desirable but accessible and relatable to a culture that is still only beginning to embrace wine. The key message – our wine is of exceptional quality, made for delightful consumption, not just collection. South Australian produce and wine can and should, become part of everyday Chinese life. Season Two cleverly links traditional Chinese holidays to wine. Much fun was had by Aussie winemakers at the Australian Wine Fair in Shanghai matching their wines to the mooncakes enjoyed as an ‘indispensable delicacy’ during Mid-Autumn Festival (incidentally Grenache wines in various guises won out, fresh rosès and juicy, fruit forward dry reds complementing the sweet spiced red bean filling). With release scheduled for early 2018, season two’s content also includes what wine would be fortuitous in the upcoming Year of the Dog, what varieties from certain regions would be perfect to drink now (whilst Chinese consumers are making space in their homes ahead of the New Year) and what Australian wines to buy for yourself as a present on Single’s Day. Enhancing this genuine connection between the Chinese market and all South Australia has to offer is the continual presence of the Chinese consumer on screen. 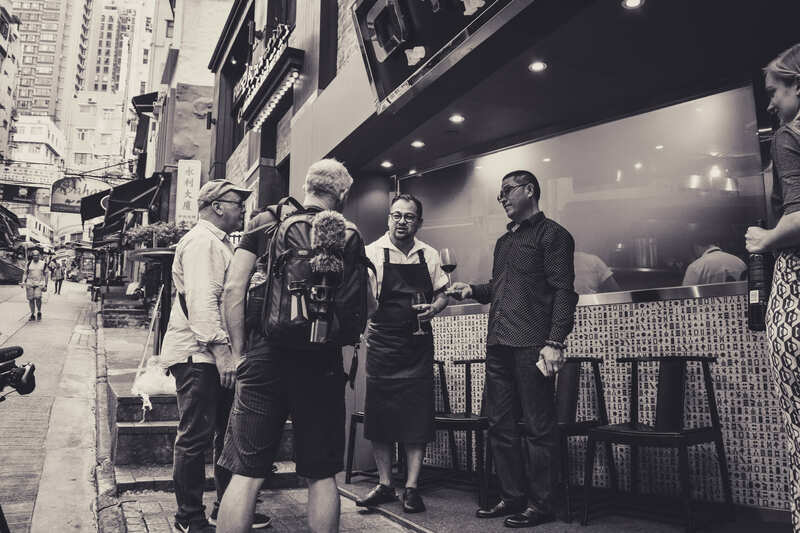 Be this through extras in Australia or reciprocal exploration of Chef Qu’s hometown in Mainland China and the booming food and wine culture of Hong Kong. Oli Madgett from 57 Films commenting “it’s the ultimate pay off having Chinese consumers trying our food and wine back in China within each episode which is a core part of the format.” going on to say “Everyone we met was really excited about Australian wine, and it feels like it’s becoming more and more usual for Chinese consumers​ to choose to drink wine. It was fascinating to take Chinese visitors around the Barossa as extras during the filming of that episode, and learn from them about the wines they like the most, and which brands they recognised. Universally, everyone we met during filming wants to visit Australia, and they have really positive associations about our country, culture and environment”. The pristine, open environment of South Australia is the ultimate backdrop for all this food and wine exploration “Showing the ​South Australian environment is one of the key components of Chef Exchange” notes Madgett, “we’ve taken Chef Qu out to the oyster beds off the Yorke Peninsula, or raking for blue swimmer crabs on our pristine beaches, as well as showing our various wine regions from the Riverland that’s fed by the Murray River, to Clare and its ideal environment for varieties such as Riesling, down to the Barossa and their amazing Shiraz and onto the Coonawarra to taste the Cabernet Sauvignon that is perfectly suited to their Terra Rossa soils.” The experiences and places acting as key tourism drivers back to South Australia. The final key to Chef Exchange’s success? Its divergence from stand-alone entertainment to a ‘multi-platform promotional vehicle for South Australian brands targeting the Chinese consumer.” Embracing WeChat and connecting with its 900 billion users is one aspect, however, it’s the connection with e-commerce start-up Hop the Wall’s integrated functionality that pushes the boundaries of standard televised marketing. Viewers can purchase the South Australian wines featured in the show with only a few clicks, without ever leaving the WeChat platform. With shipping consolidated in Australia, direct from the producer this program offers unparalleled access to a vibrant, enthusiastic market. This, right here, is the future of lifestyle marketing. With its unique insight into how Chinese consumers relate to our land and our produce Chef Exchange is mandatory viewing for all in the South Australian wine, food & tourism sectors. Its strengths lie in its dual capabilities, offering real connection opportunities to this vital market and educating us in South Australia how we can better leverage this connection is a positive and meaningful way. For those not in the trade it’s simply an endearing look at the brilliance of South Australia and the unending wonder of China through fresh eyes. Season Two of Chef Exchange will screen on QTV (China) and Australia-wide from early 2018.